I recently had the opportunity to be the keynote speaker at the opening reception for a conference. The conference focused on facilitating investment between the energy, mining, aerospace, defence and security sectors. CEO’s and other high-level, corporate leaders attended the reception. The topic of my presentation was factors that contribute to responsible decision-making. My friend believed no one in those industries cared about anything virtuous or moral like factors that contribute to responsible decision-making, and he thought that most senior business leaders were ruthless in their pursuit of money and power. To be blunt, he thought it was a conference for psychopaths. 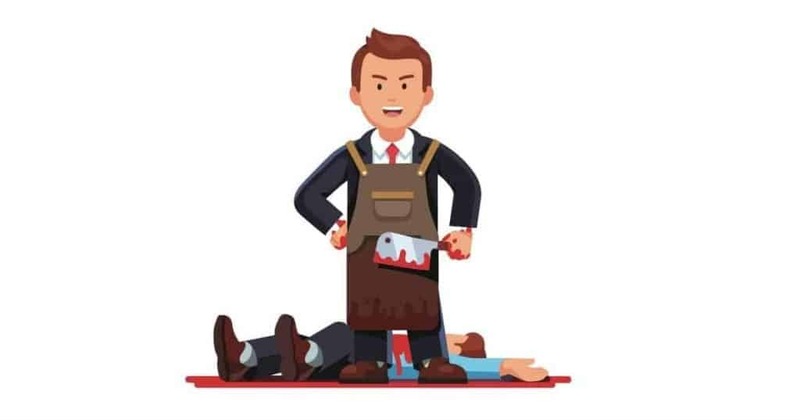 CEOs are business leaders, not serial killers. Psychopathy is a personality disorder characterized by anti-social behavior. The disorder includes a lack of empathy and remorse, and an impaired emotional life. I describe psychopaths as people who know the difference between right and wrong, but they only care about their own self-interest. But psychopathy is actually defined by a person’s score on the Psychopathy Checklist and similar psychological tests. We all score somewhere on the scale, and certain professions are populated with more psychopaths than others. Some people in the professions on this list score as high as, and sometimes higher than, serial killers. But CEOs, highest on the list, are business leaders, not serial killers. We all know CEOs who are great philanthropists and humanitarians. We know lawyers who ethically defend their clients, journalists who expose injustice, and surgeons dedicated to reducing suffering. Of course, nearly everyday we hear about police officers who sacrifice their personal safety to protect us from harm. There are no evil jobs, just some evil people. One study shows that, while only 1% of the general population are psychopaths, 4% of business leaders and CEOs are psychopaths. Another study showed that one in five CEOs are psychopaths. That same one-in-five see other people only as a means to get what they want. If you only focus on ingratiation (creating or improving a personal relationship), then you run a higher risk of being ignored. Even though a psychopathic business leader will want to win at all costs, every other business leader also wants to be successful. If you can show the business benefits of doing the right thing, you’ll engage everyone. Did they care about what I had to say? Although the research shows that only 20% of CEOs (one in five) are psychopaths, my friend thought that much more than 20% of the business leaders at that conference would tune out when I started speaking. He has the moral position that people in the energy, mining, aerospace, defence and security sectors would not care about factors that contribute to responsible decision-making. Was he right? When I reflect on Dutton’s list of professions, I see that many of them were under-represented at the conference, if not completely absent. Although salespeople might have been over represented, the sales profession has a lower prevalence of psychopathy than CEOs. But even if it had been an all-CEO audience, 80% would have been interested in my perspective on responsible decision-making because it’s the right thing to do. To engage that 80%, I still needed to do my best at all those things effective speakers do. I told a relevant and exciting story. The heroes of my story were successful companies, not me. And, I ended my presentation with relevant recommendations that the audience could implement immediately. What did I do to engage the 20% of business leaders who only care about a business win? First, I never said that following my strategy for creating a critical mass of responsible decision-making was a virtuous thing to do, and I didn’t try to ingratiate myself to anyone. After my presentation and in the week that followed I received many thanks, kind words and positive feedback. Yes, they cared. What’s your experience with psychopathy in the workplace? What strategy do you use to engage the less than 20% of business leaders who may not care about doing the right thing? Let me know. Please leave a comment below or message me on social media. You can connect with me on Facebook, LinkedIn and Twitter. Also, please share this article and subscribe to the Work Feels Good blog to read more. Your point is a great one though. Just because someone ranks highly as a psychopath, doesn’t mean they’re a serial killer. 20% isn’t inconsequential and certainly warrants a sincere effort in learning to identify the ‘currency’ of a psychopathic CEO in the workplace. Hi Kelly. Thanks for your comment and the link to the HBR article.